Ajith's Thala 59 A Remake Of Amitabh Bachchan's Smash Hit? 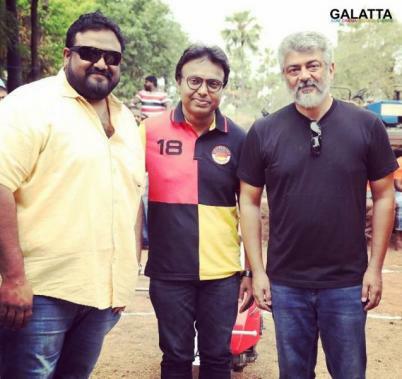 ‘Thala’ Ajith, as known to all, is at present working on his upcoming film, Viswasam, under Siva’s direction being produced by Sathya Jyothi Films with Nayanthara as the female lead and D. Imman handling the musical score. 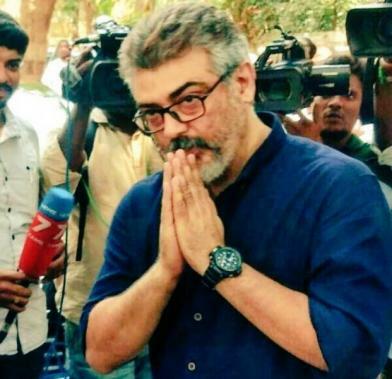 That said, there has been much debate on Ajith’s film after Viswasam, tentatively being called Thala 59, with Theeran Adhigaaram Ondru director H. Vinoth reportedly the prime candidate for the director. Furthermore, it is said Late actress Sridevi’s husband Boney Kapoor will be producing Thala 59, which as per latest reports is speculated to be a remake of the smash hit Bollywood film, Pink. Film aficionados will know the 2016 movie starring Amitabh Bachchan and actress Taapsee Pannu to be an intense courtroom drama with Ajith now reportedly to possibly portray Big B’s role in the Tamil version. Amitabh Bachchan had played a retired lawyer who steps up to take up Taapsee Pannu’s sexual harassment case. We will now have to wait for that elusive official announcement on whether Thala 59 is indeed going to be a remake of Pink. >>Nerkonda Paarvai: "Thala Ajith is on beast mode"